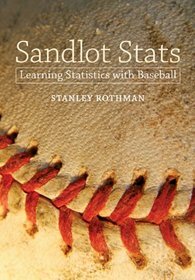 The book “Moneyball” chronicles how Billy Beane used certain batting statistics to build the low budget Oakland Athletics into a contender in the early 2000s. With the help of Paul Depodesta he showed that on-base percentage (OBP) was much more valuable for run production than batting average. Concentrating on a player’s OBP and ability to create runs, he was able to sign players with WARTS for less money. Two examples of such players were David Justice and Scott Hatteberg. Justice was an aging player who lost his power but still retained his high OBP average and Hatteberg was a catcher with a bad arm who had the ability to create runs. In today’s game of baseball, the big budget teams are signing starting pitchers based on the fact that they can throw the ball close to 100 mph. They want strikeout pitchers. Unfortunately, strikeout pitchers use up their 100-pitch limit by the fifth or sixth inning. This leads a team to bring into the game their middle inning relievers which happen to be their weakest pitchers. A manager hopes these middle relievers will get his team to their setup and closer for innings eight and nine. The flaw with this thinking is so much of the success of a team becomes dependent on their weakest pitchers. Another problem with power pitchers is they seem to wind up either in a line for Tommy John Surgery or on the DL for an extended period of time. Just look at the New York Mets. For 2016 and 2017, the Mets lost, for extended periods, Zack Wheeler, Matt Harvey, Stephen Matz, and most recently Noah Syndergaard. The success of Searage’s philosophy is measured through the following sabermetric statistics applied to pitchers. In averaging 3.75 pitches per batter faced since the start of Searage’s tenure in 2011 (the fewest in the majors), the Pirates lead the majors in inducing a grounder 49% of the time and causing soft-contact on 20% of their balls in play. This explains why since 2011 the Pirates ranked 6th in ERA despite ranking 22nd in strikeout rate. Following the example of Billy Beane, Searage sought underachieving pitchers with Warts he believed could be transformed into following his philosophy of pitching to contact. Three such pitchers are Ivan Nova, Edison Volquez, and A.J. Burnett. All three of these pitchers lowered their pitches per batter under the tutorage of Searage. After having an ERA of 4.41 in seven seasons for the Yankees, Nova lowered his ERA to 3.41 since arriving in Pittsburgh in 2016. Volquez, after putting up a 4.75 ERA with four other teams posted a 3.04 ERA for his one year with Searage in 2014. A.J. Burnett came to Pittsburgh in 2012 at age 35 with an ERA of 5.20 for his past two years with the Yankees; he lowered it to 3.41 over the next two years with the Pirates. In spite of ranking near the bottom in many offensive categories for the years 2013-2016, the Pirates finished second in their division for the years 2013-2015 and finished third in 2016. The Pirates made the playoffs as a Wild Card team for the 2013-2015 seasons. Winning their division in 2017 against the Cubs clearly won’t happen. However, one thing that probably will not change pitching will not be the problem.